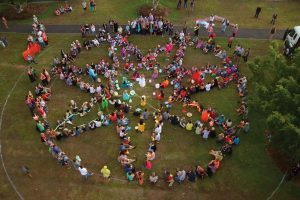 Hundreds of people came together in a fun and complicated mandala to express love for ourselves, each other and the Earth. 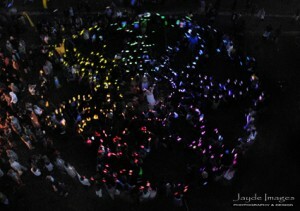 Glowsticks were used to unite the path of heart with light. 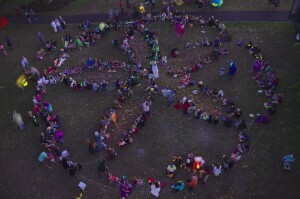 Hundreds of people came together to celebrate peace by joining a human mandala; a human peace sign for peace. 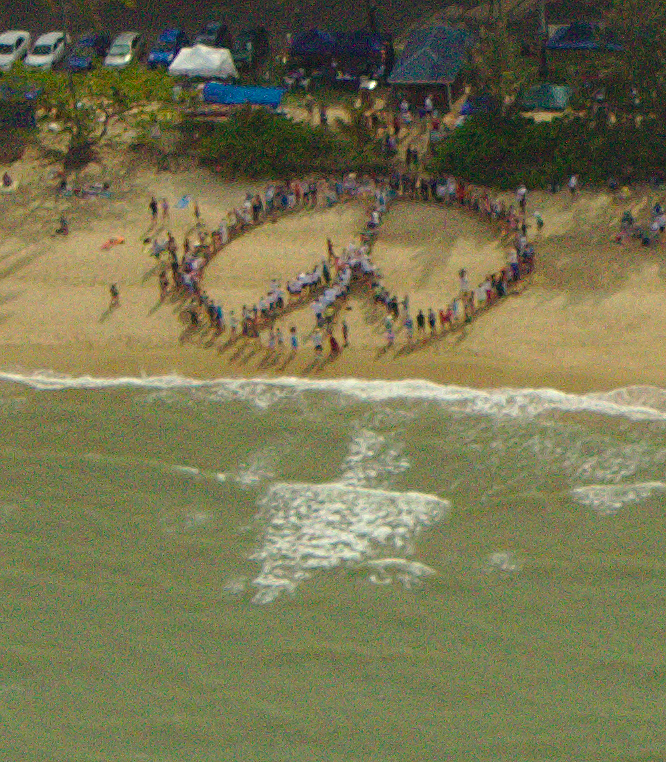 Led by Mathilde from Nia and entertained by Soul Song Choir as we awaited the plane to take the photo of the Cairns community sending peace out to the world. People were delightfully entertained earlier during the day by Bec Drollinger and Jeremiah Johnson, as well as being able to participate in workshops, Nia Dance, Aikido and more. The morning was spent with Peace Warriors doing 108 rounds of the Sun Salutations lead by 7 of Far North Queenslands' top Yoga Instructors. Connect Magazine was launched in March 2003. This was a quiet afternoon of key people involved with getting the magazine off the ground and keeping it going over the years. Including some of the Connect team, contributors and artists alike. 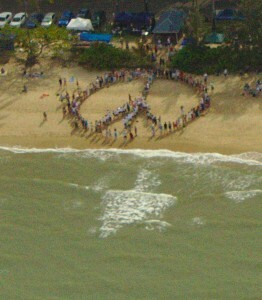 Hundreds of people came together in Palm Cove to celebrate the International Day of Peace. 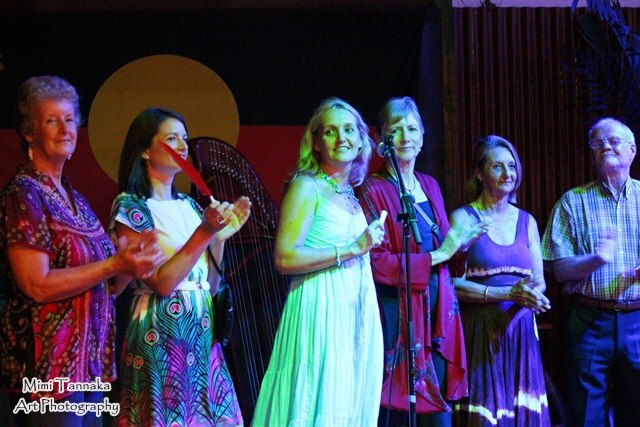 Thank you to Tourism Palm Cove, Francetta Bridle, Mike Newton of Art Explosion, and all the Global Mala Yoga Instructors, stall holders and performers and participants. 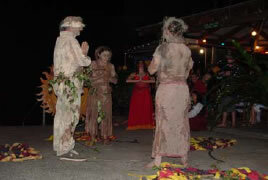 Thank you to Saundra of Dru Yoga for also bringing the essence of the World Peace Flame to the event and to Cairns. Those that joined us on this night enjoyed fantastic live music by some of the artists featured on the CD including, in order of appearance...Astrid Elika, Lani Brouwer Hughes, Jeremiah Johnson, Marilyn Davison, Frank Frikker, Eddie Skiba and Bec Drollinger. 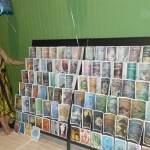 The 100 editions of Connect were on display as well as 100 Feelgood Feathers, each with a quote taken from each of the magazines. 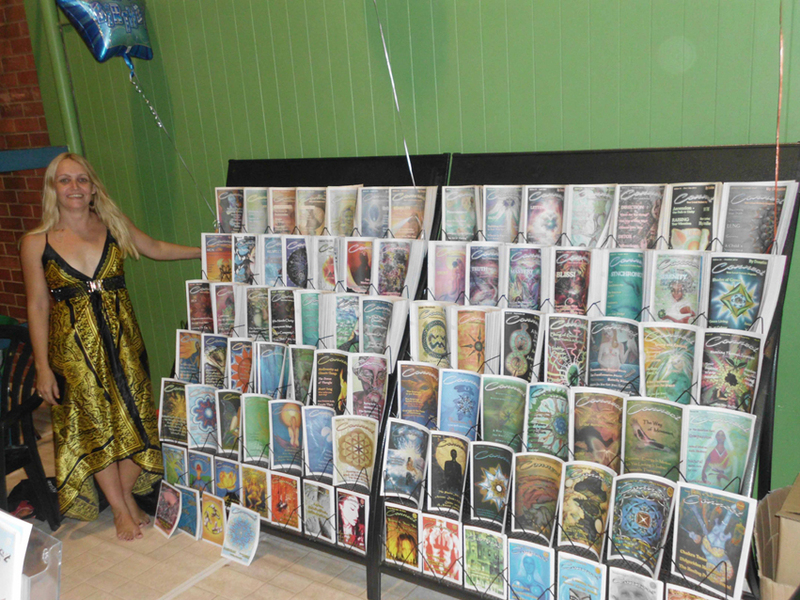 Cover Artists Adam Scott Miller, Donna Raymond, Jilli Manning and Susanna Isabella, had some of their artwork on display and guests also enjoyed a yummy finger food feast by The Cultural Place in Cairns. 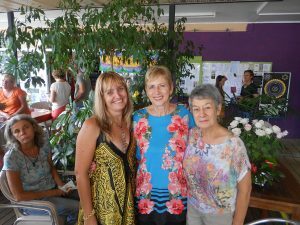 Approximately 600 people came over this weekend to enjoy the variety of health and well-being stalls and the free workshops and demonstrations. It was so hot inside the hall but luckily there was an air conditioned Chill Out Zone featuring the Cover Artists Exhibition and ambient Entertainment. 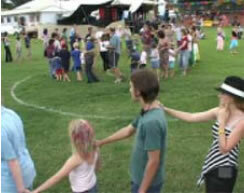 With a gong as the central feature, the Yungaburra Folk Festival Labyrinth was a "resounding" success. 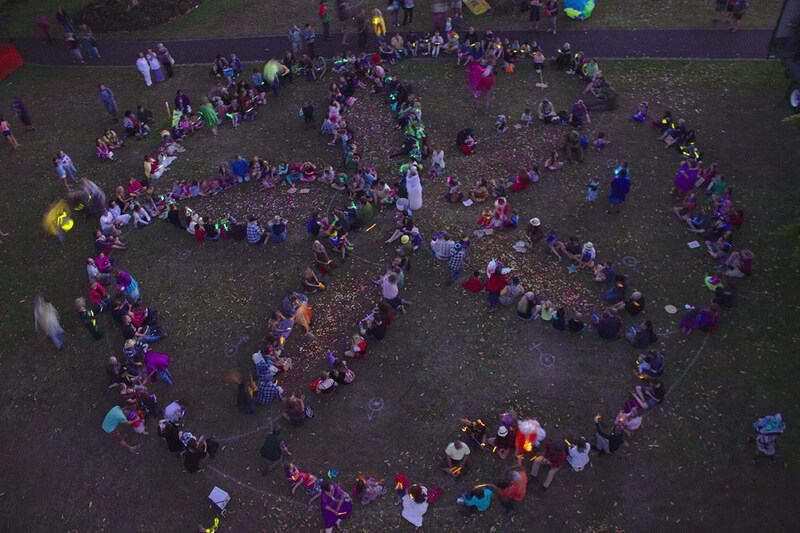 With a beautiful opening ceremony performed by The Soul Harmonics Orchestra, the labyrinth was enjoyed by children and adults of all ages. 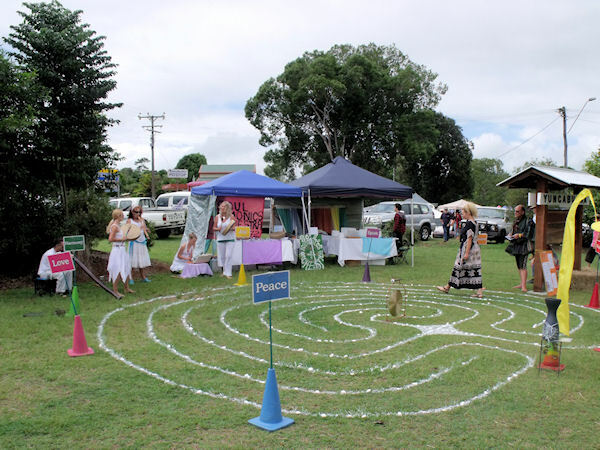 Along with the sounds of delighted children, amused parents and curious onlookers, the steady stream of bangs on the gong kept the Labyrinth close to the heart of the Fair. 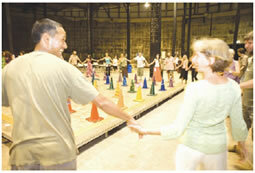 More than 50 people took the solo journey of walking the labyrinth. We provided a suggestion for the labyrinth meditation: ‘Write on a heart slip (heart-shaped paper slips) something that you wish to let go of. Carry this heart with you as you walk into the labyrinth. 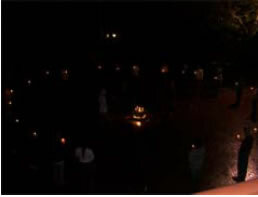 When you reach the centre, let it go by placing the heart into the shell in the centre. Contemplate what you would like to solidify into your life. 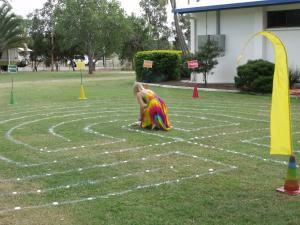 Pick up a stone from the labyrinth as you leave. Write on the stone, (with permanent markers provided) what it is that you are now solidifying in your life. Take the stone home with you as a reminder. A collection of articles from the life of Connect Magazine 2004-2008.
no advertising and a gloss cover! 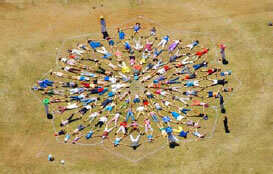 feast and the creation of a human mandala. 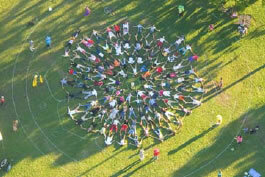 Humandala to raise funds for Haralds House. the rain came pouring down and this event was cancelled. 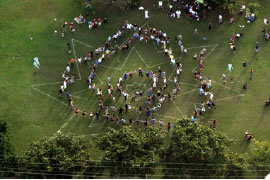 Over 250 people came together to form this human art piece for peace and enjoy many of the other activities and guest speakers. ongoing success of our local community holistic magazine in Far North Queensland. women, black and white, young and old. 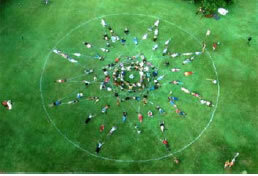 image, to blossom the peace that lies within our hearts into our community and out to the world. 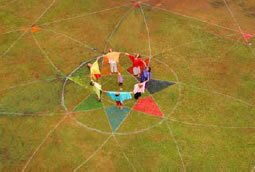 a living Human Harmony Mandala, to bring together all cultures, all ages and all religions. 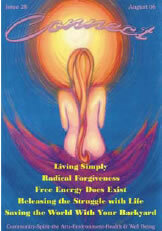 peace, love and beauty that lies within our hearts. bring it foremost into our communities. 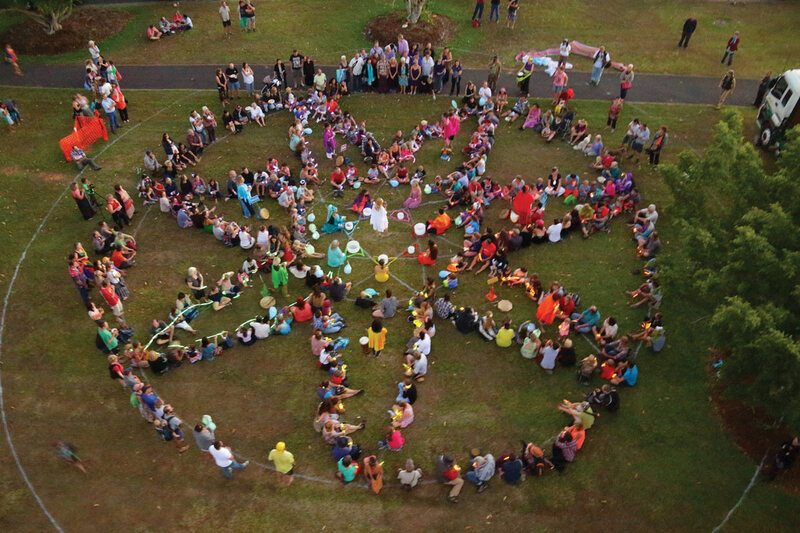 Over 50 people participated in a ritual theatre peace to bring peace to our community. 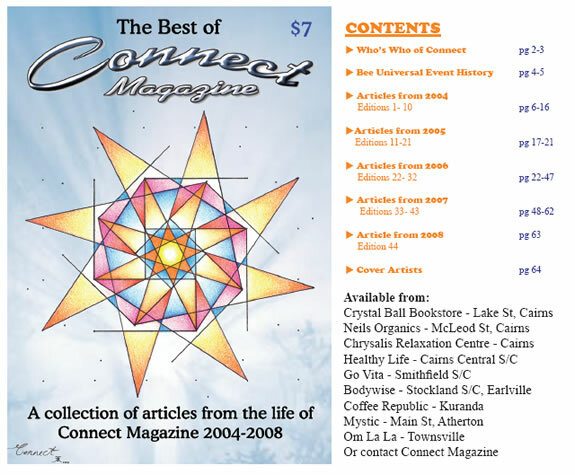 Connect Magazine is the only local holistic magazine in FNQ. 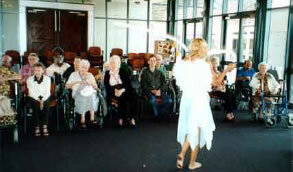 A group of us went and played a variety of instruments to the elderly. 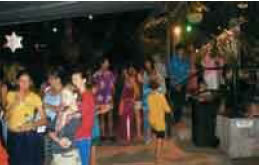 They loved it!! 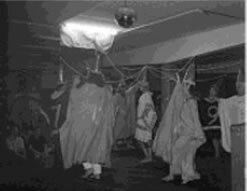 And so did we! the skies, marking a time of Unity. 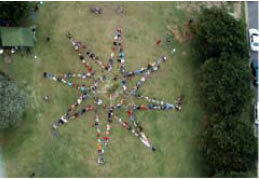 taught and honoured the power of magic square mandalas.